Our favorite "Jenny From the Block" just showed us the not-so-glamours side of acting. Lopez jokingly added, #Immafightertoo and #sufferforyourart before assuring fans that the "shiner" was just a makeup job with hashtags reading, #justkidding, and #nobodyhitme. 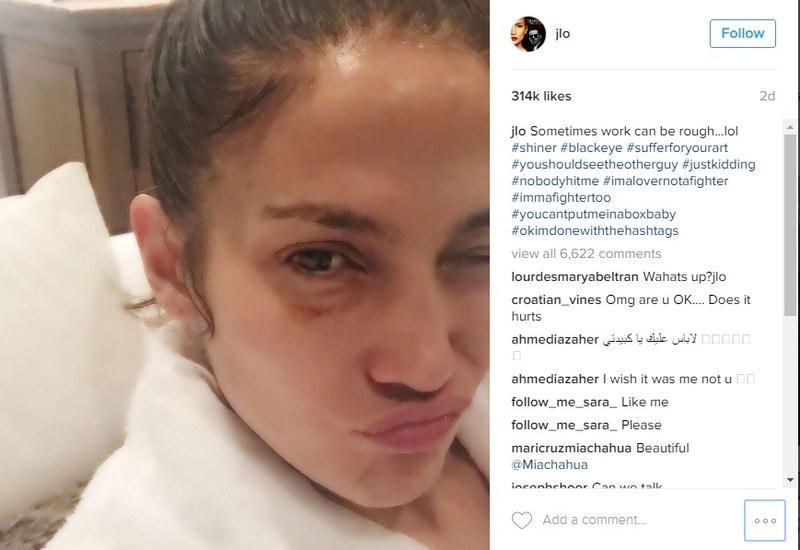 Jennifer Lopez gives herself fully to her series Shades of Blue , or even too much.The proof: the black eye she wears for several days.